Against the backdrop of China’s rise as a military power, Taiwan’s defence is often portrayed as a lost cause. However, the Lowy Institute’s Asia Power Index (API) offers insight into why Taiwan continues to deter annexation by China, against seemingly overwhelming odds. The Index also helps explain how Taiwan can maintain deterrence beyond a narrow equation of military power across the Taiwan Strait. The API presents a measure on military capability. China’s People’s Liberation Army (PLA) has 79 major warships to Taiwan’s 26. China has 642 fighters to Taiwan’s 128, and 53 submarines to Taiwan’s four. Taiwan needs to concentrate on shoring up support in Washington, while building on current military strengths and patching up weaknesses. Assuming a smooth military operation, the figures suggest China could overwhelm Taiwan’s defences with relative ease, and attain the air superiority and sea control needed to mount a successful amphibious assault, and/or blockade. On these figures, Taiwan’s position appears hopeless. Yet the strategic calculus changes when the API’s “alliance force multiplier” is considered. This sub-measure is the ratio of combined allied military capabilities to a nation’s autonomous military capability. Taiwan’s alliance force multiplier is at a very high 5.7, whereas China’s is just 1.5. Once the “alliance force multiplier” is included, the balance tilts in Taiwan’s favour. Taiwan would have up to 148 major warships to China’s 118, and 730 fighters to 642. The only place where Taiwan lags is in sea-denial, where China would have 79 submarines to Taiwan’s 23. In short, these adjusted figures indicate that Taiwan and the US have enough firepower to inflict unacceptable costs on the PLA and deter an invasion. These numbers derived from Taiwan’s “alliance force multiplier” are based on the assumption that the US would have both the political resolve and necessary lead time to undertake a rapid and sustained mobilisation, under the Taiwan Relations Act. That is an open question. Moreover, a theoretical sum of allied military capabilities will likely exceed the effectiveness of these in coalition on the battlefield. Nevertheless, Taiwan’s task of deterring China becomes much harder without allies. In light of this, Taiwan needs to concentrate on shoring up support in Washington, while building on current military strengths and patching up weaknesses. The current Taiwanese government seems to understand the need for a stronger military, pledging to increase defence spending by more than 5%, pushing military spending above 2% of GDP. Still, challenges remain. The API shows that Taiwan may have trouble in securing its approaches. Investment in shore-based anti-ship cruise missiles and submarines should be a priority, while requests for fast-attack missile boats and minelayers should be approved swiftly. Taiwan’s intelligence and cyber capabilities are also lacking. Given that only 10% of Taiwan’s coastline is suitable for an amphibious landing by the PLA, further investment in hardening anti-invasion defences should be another priority, to raise the costs of intervention for the PLA. Another area where Taiwan’s armed forces need modernisation is in “command and control”, a qualitative assessment made by experts on a nation's authority over the armed forces in wartime, where the API scores Taiwan only 59 out of 100. One possible reason for this low score is that there are political frictions between the Kuomintang-influenced military – with its broad sympathy for re-unification – and the pro-independence Democratic Progressive Party. Depoliticising Taiwan’s armed forces would strengthen civilian control over the military, which would in turn bolster command and control in wartime. 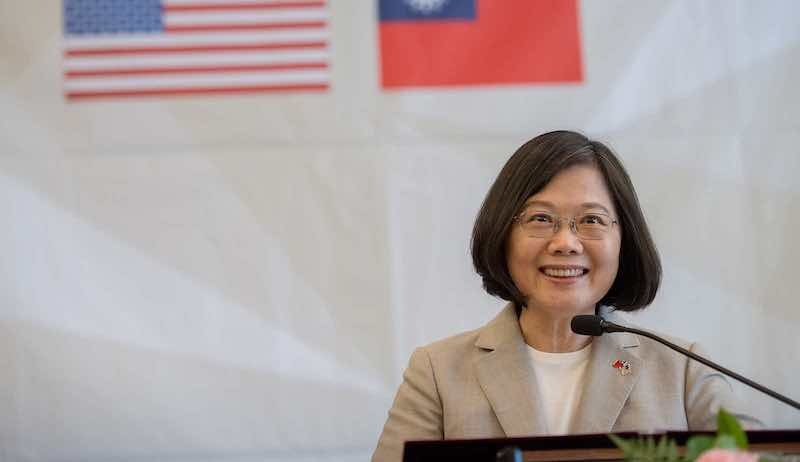 President Tsai Ing-wen’s recent speech to the Taiwanese Navy, calling for more “confidence” and “determination”, shows that she is not afraid of asserting her authority as commander-in-chief. But more needs to be done. Another factor weakening Taiwan’s “command and control” score is that the armed forces have long been plagued with spies. Counter-espionage needs greater attention, since the risk of technology leakage to China limits the quality of hardware the US is prepared to sell. Recent prosecutions of a former military officer in Kaohsiung and an engineer for stealing trade secrets for intended use in China suggest that the Tsai administration recognises the problem. But, again, such efforts need to be intensified. The Tsai administration’s decision to abolish conscription from 2018 was a much-needed reform to professionalise the armed forces. However recruiting reserves is still a significant issue for Taiwan, impacting combat effectiveness. Despite these teething issues, building reserve capacity while transitioning to a volunteer force will improve the effectiveness of Taiwan’s military in the long run. Even if the Tsai administration follows this course, Taiwan will still face significant challenges in deterring Beijing. China’s President Xi Jinping has stated that the People’s Republic must achieve the “great rejuvenation” by 2050, which includes “reunification” with Taiwan. This resolve, combined with China’s mounting cross-strait political warfare campaign, makes the problem more acute. To maintain deterrence, Taiwan needs to consolidate ties with the US and harden links with other partners in the Indo-Pacific. Lobbying the US to allow Taiwan into multinational military exercises, such as RIMPAC, or the Rim of the Pacific Exercise, would help. Taiwan can also assist Washington by bolstering its ties with Palau and the Marshall Islands, as a counter to growing Chinese influence in US “compact states” in Micronesia. Approving Japan’s or India’s bids to build Taiwan’s next generation submarines would help too. Wherever possible, Taiwan must strengthen its defence networks.